The Internet has led to a profound change in people’s knowledge about cleaning products. Thanks to the easy access of websites like Google, many people have learned about the risks of non-green cleaning, as well as the low cost and high effectiveness of green products. 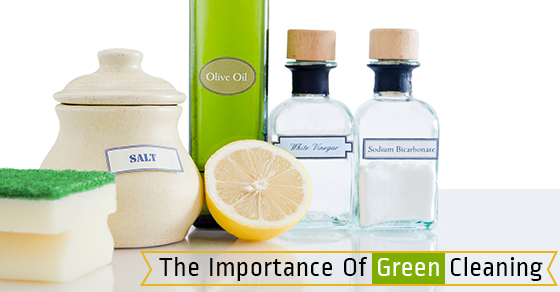 For example, more people than ever have seen the EPA summary on the importance of green cleaning products. This summary found that non-green products pose a significant risk to wildlife in area without modern sewage treatment, a small but noticeable effect on nitrate concentration even in treated sewage (causing algal blooms and choking fish), and, most importantly, real effects on the health of people who use non-green products. That last effect is increasingly a point of focus for people. Non-green products’ greatest effect is not on the environment at large, but on the environment in the building where they are used. These products get into our systems and mess us up. Increasingly, scientists are learning that buildings cleaned with non-green products tend to negatively affect the health of the people who live and work in them. A slew of scientific organizations, including the Canadian Lung Association, Carnegie Mellon University, and the EPA have released research that indicates the fumes of non-green products include Volatile Organic Compounds (VOCs) that irritate the lungs. Irritating the lungs causes asthma, stress, lack of focus, low blood oxygen, heart disease, and increased risk of a whole bunch of infections. The US government did a meta-analysis of studies showing that non-green cleaning products cost a business roughly 34 minutes of productivity per employee, over an eight hour day. Although employees might report feeling tired or sick at the office, they may just be experiencing low blood oxygen caused by inhaling VOCs all day, every day. As bad as it is in your office, inhaling all those chemicals at home while you sleep is even worse. Non-green products in the home have been conclusively linked to higher rates of asthma, erectile dysfunction, high estrogen levels in men, cancer, antibiotic-resistant infections, kidney damage, allergies, and migraines. Another benefit of the Internet is that many people are becoming aware that green products work just as well, and for about the same cost. For example, more people than ever can see analysis papers showing that vinegar is just as effective at killing household germs as bleach- or ammonia-based cleaners. Or that it costs much less per gallon than standard household cleaners. Other green products stack up just as well. Baking soda cuts grease as well as any synthetic compound. Borax, a naturally occurring mineral with no VOC potential, is one of the best whiteners on the market, and costs much less than artificial equivalents. Essential oils are a much more effective deodorizer than artificial air fresheners. Even on large scales, green cleaning is cheap and effective. An estimate by raycompgroup of bulk purchases of office cleaners found that green cleaners were actually slightly less expensive. Whether you want to avoid the risk of erectile dysfunction or the more serious side effects while in your home, want to get an extra 34 minutes out of your employees, or simply want guests to have a better stay, green cleaning is going to be an important part of your future!